At the recent TED Women conference, cartoonist Liza Donnelly talks about humour as a tool for social change. I just read this interview with Tosin Otitoju on BellaNaija. 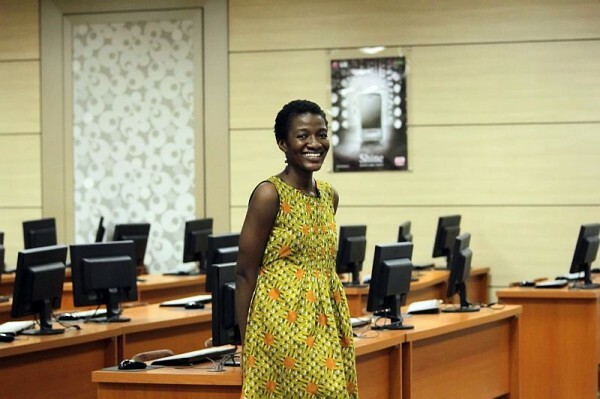 Tosin is an incredibly accomplished woman whose story is very inspiring. She graduated from Queens College, Lagos in 1996 with the best SSCE results in the entire country, graduated top of her Electrical Engineering class at Howard University in the U.S and was accepted to a PhD program at CalTech. On top of that, she was awarded a national honour in 2004. Despite achieving immense academic success, she had the courage to take a break from her PhD program to explore other interests. So many of us get caught up by the trappings of success and stick with life choices which we no longer find fulfilling. GenderIT.org CSW Newsletter: Can Technology Transform Women's Reality? As the next United Nation's annual Commission on the Status of Women starts on February 22, the gender and ICT website genderIT.org releases its special CSW newsletter. the Association for Progressive Communications is doing on these issues - including the latest recommendations on science and technology from the experiences of women and girls on the ground, how girls in the Congo are using SMS to stop teacher abuse and if are Simputers in rural women´s hands are empowering or generating e-waste. The 55th session of the Commission on the Status of Women (CSW) will be held in New York from 22nd February to 4 March 2011. The theme for this year's session is Access and participation of women and girls in education, training, science and technology, including for the promotion of women's equal access to full employment and decent work. 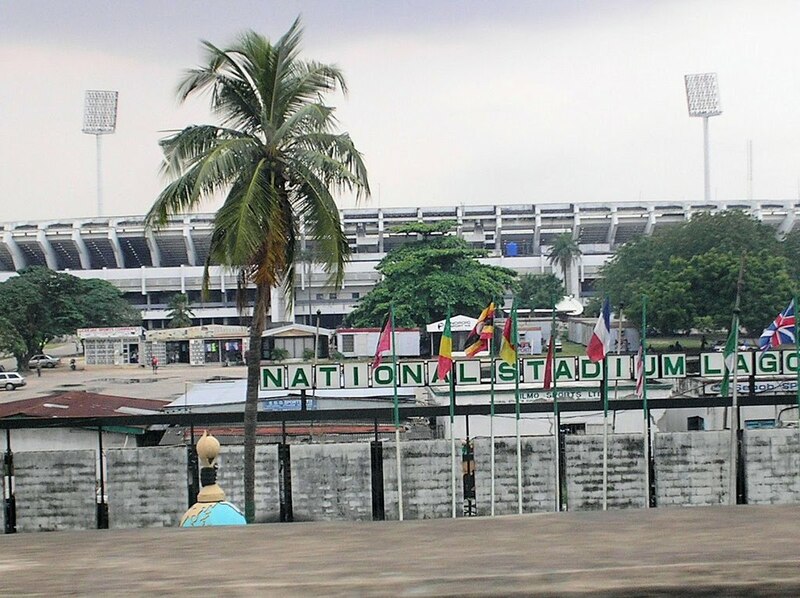 I paid a visit to the National Stadium today. My previous visits had been to attend Sunday services organised by God Bless Nigeria. Today’s visit was actually sports-related. Following my recent decision to start a swim club, my love for the sport bubbled-up afresh within me and I decided to buy a kick board. A kick board is a rectangular board that swimmers (typically learners) hold on to while they practice their kicks. More experienced and competitive swimmers also use it for exercise and to improve their leg movements. I’d been scouring Lagos’ sports shops (at Silverbird, the Palms, City Mall, the various Nike stores) looking for one to no avail. On a chance suggestion to try to stadium, I decided to give it a shot. As I entered the complex, I looked around for the sports SHOP and instead I saw a square of several sports SHOPS. I was spoilt for choice. My sister and I parked and went into the first shop. They had a kick board … a child-sized board. We went into the next shop. The same story. Don’t adults use kick boards? Maybe they can all swim. Or more realistically – from my experience – maybe they can’t and can’t be bothered to learn. Since we had a lot of options, I eventually found what I was looking for in one of the shops. I also met an acquaintance looking for tennis whites. The most amazing discovery for me was that this gem for sports people exists in Lagos. Each shop stocked a plethora of sports accouterments from equipment like punching bags, weights, balls, rackets, to machinery like treadmills to clothing to accessories like trophies and medals. Not only that, for the large part, the sales staff also seemed knowledgeable about their products. Then, of course the prices beat those I’d seen in island shops hands down! The stadium has certainly fallen into quite a state of disrepair. Nevertheless, it was vibrant with activity as people abounded rollerblading, playing football, taking tennis lessons and running around the complex. It was heartening to see these activities even though institutional sports in Nigeria is much neglected and under-funded. One simple contribution that we can make – location permitting – is to check out and use the stadium facilities and to support the shops. I found a list of top 50 swimming blogs as ranked by Guide to Online Schools. After my swimming lessons ended last November, quite unbelievably, I have not swum a single stroke. How that happened is rather like a mirage to me, but the hard fact is that it’s due to work (an incredibly busy schedule, not enough hours in the day – that kind of thing …). My sole form of exercise these days is walking, which I do for 1 to 2 hours every Saturday morning. A friend joined my sister and I today and we discussed the local running/walking club, which meets unfailingly every Saturday to sprint/amble/crawl (it’s open to different levels of ability) around our estate. Hmmm. Now, why didn’t I think of that? So, I started to mull over the idea. Well, why not? The lack of a readily available (and let’s be honest, cheap) pool might be an obstacle. Then another potential problem could be that I know far more people who cannot swim than who can. What else? Well, among the few women I know who can swim, most don’t because they’re averse to ruining their carefully coiffed hair dos and often monstrously expensive weaves. On top of that, Thursday’s surprise and very heavy downpour reminded us that the rainy season is on its way. However, once I’m sold on an idea I tend to look beyond the challenges and trust that God will make a way. So, the long and short of this is that I’ve decided to start a swimming club. What will we do, one might wonder? You mean, aside from swimming? Swimming is a wonderful activity, but one that can get boring when done alone and frequently. Often once I find my rhythm, I enjoy the routine of the strokes, however some days I swim a lap or two and then can’t get out of the pool fast enough. Swimming with other people would certainly be a lot more fun – especially when you’re there to swim and not just chit-chat. Though if you want to chit-chat too, there could be time for that. Structured routines and healthy competition could improve swimming performance. Then, we could share techniques too. The benefits are endless ….. So, now all we need are people who love to swim and somewhere to swim. I suppose an idea of how to go about this would help too. If anyone has ideas, resources and favourite blogs/sites to check out, I would certainly love to hear them. I recently finished No Country For Old Men, which I really enjoyed. It was a taut, fast read - just the way I like them. It was my first Cormac McCarthy book and a good introduction to his writing. However, from what I gather, it's different from the rest of his books which meander their way through telling a story - or sometimes not, from one of the book reviews I read. Then, I started Lionel Shriver's So Much for That, which I could not wait to read. Unfortunately, that experience was not what I expected. It was evident from the pages I read, that Ms. Shriver was passionate about the provision of quality, affordable health-care, which many would say is not available in the United States (where the book is set). However, her disdain for the American health-care system, which disenfranchises people with no money (unlike the U.K's National Health Service) was sharply evident in some of the characters' lengthy, impassioned rants. It was a bit too much for me and I've since put the book aside for now. I enjoy it when points are made a bit more subtly through the plot, as opposed through the dialogue. Since I love Lionel Shriver's writing, I will go back to it at some point. I have since started what's her most famous book, We Need to Talk About Kevin. I am also reading Marian Christy's Conversations: Famous Women Speak Out. I particularly want to highlight the new book by Nigerian writer Teju Cole. His first book Every Day For the Thief was published a few years ago in Nigeria by Cassava Republic. Now, he has his big international outing, Open City coming out this month, published by global publishing giant Random House. Read an interview with him on the literature social networking site Goodreads.